Slip On Typing/Keyboard Aid is a typing aid designed specially for people with limited grasp. It provides independent typing to those who cannot access keyboard with their fingers. Can it be used for my physically challenged son with limited wrist motion? Yes, Slip On Typing or Keyboard Aid can be used for your son. He can press keys much more easily and even play computer games. Does this slip on leaves any marks on the hand? 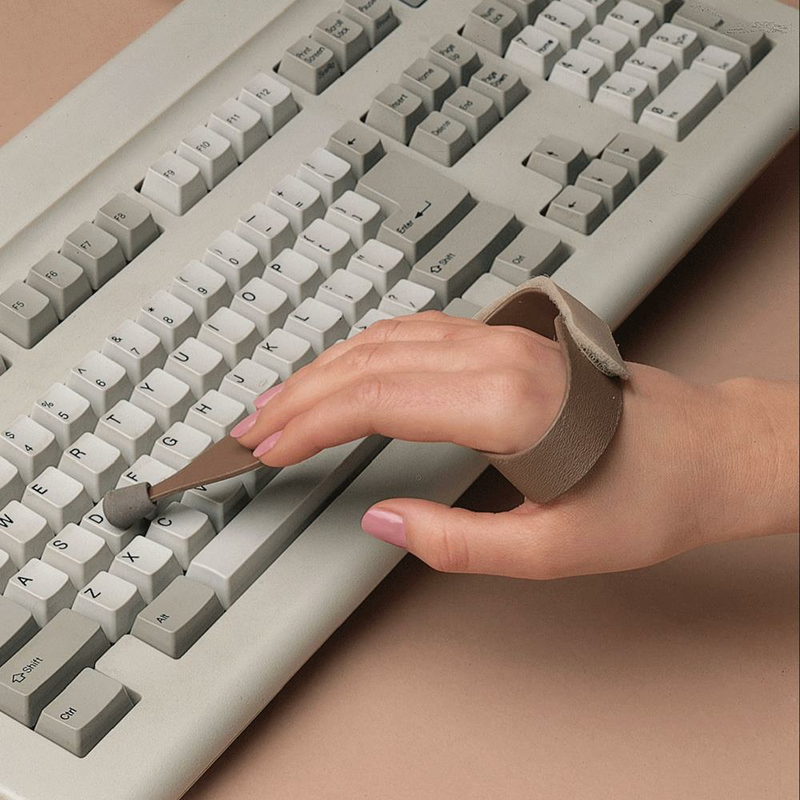 Slip On Typing/Keyboard Aid fits the hand perfectly and does not leave any marks on it even after typing for several hours continuously. The best way to clean Slip On Typing Aid is with disinfecting wipes. Do not immerse it in the cleaning product.